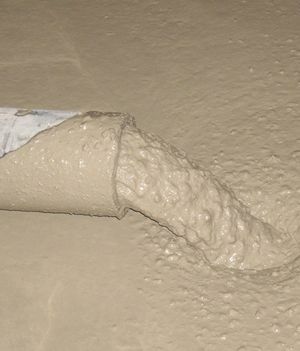 Liquid screed, pumped screed or flow screed, eliminate the difficulties associated with getting a good floor finish using traditional floor screeds. At Thermotech, such problems were highlighted during the installation of underfloor heating systems. Traditional floor screeds are very rarely level, has lots of air pockets in it, that weaken it and cause inefficiency with underfloor heating, has to be transported into the work area - usually by wheel barrow - with the potential to cause serious damage to underfloor heating pipe loops. 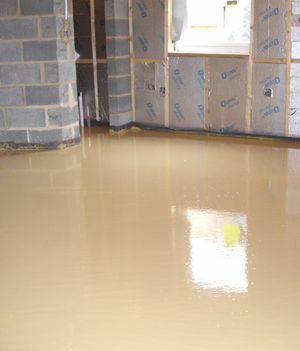 Knowing that liquid screed has been widely used on the continent for several decades, and in the UK for over 15 years on large commercial developments, we investigated the practicalities of bringing this process to smaller scale projects, such as an individual house build, right through to a project the size of a shopping centre. As a result of this we identified a process that we regard as the highest possible quality floor finish available. But don’t just take our word for it, give us a call and you could become our next satisfied customer. 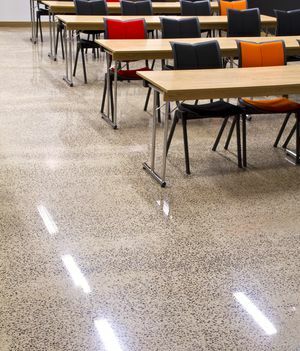 Over the past 10 years we have invested heavily to bring you the ultimate floor screed finish. See our Products page for more information on the services we offer. Why not sign up for our newsletter? Containing case studies, industry updates and useful tips and tricks. Go to the sign-up form. "As a company that has an enviable reputation for quality, it is important that contractors working for us share the same principles and aims for high standards. Our dealings with thermotech have always proved them to be very professional, from the initial quoting and booking through to installation. The product is of very high quality and the on-site operatives work to a very high specification of working practice. In addition, the friendly nature of all the staff has really helped them to become part of our working team. I would have no hesitation in recommending Thermotech"
Award winning developers, N.T. Voisey & Co. have been pleased to be associated with Thermotech. "Initial contact through to completion was very professional. Quote handled promptly, accurately and honestly. Installation procedure was precision engineered and faultless!!! The Installation team produced the goods every step of the way. A bit disappointing to be charged extra but fully explained and justified. The end product was worth the extra and has produced a wonderfully level floor and excellent finish for our underfloor heating and subsequent floor covering. The speed, neatness, efficiency and accuracy of the installation team were some of the best I have experienced in the building trade! I have and would high commend the boys who did my job :) Next time I will be asking for them if possible!!! Many thanks for an excellent product and the warm knowledge that from the bottom up we have done the job right!" "A visual inspection of all the floor areas was undertaken, Tarmac was impressed by the professional approach and high standards of workmanship expected by Thermotech." "Upon inspection the surface of the screed was a high quality finish, very smooth and giving the appearance of being suitable for a majority of different floor coverings/finishes." "The screed appeared visually flat, which was confirmed by the use of a 3.0m long straight edge. This confirms the surface meets in excess of SR2 (The British Standard for surface regularity)." "It also appeared level and this was confirmed with the site laser level. This was set up in the middle of the kitchen area and the receiving staff placed at multiple locations around the room and this confirmed that the floor surface was level." "We were very pleased with the high level of customer service and the speed in which the job was completed. The workmen were very professional, clean and tidy. We would have no problems in recommending Thermotech to anyone, which we have done so already." We are in the process of upgrading our equipment and telephone numbers are changing in the process. In order to limit the impact of additional charges made by some telephone service providers we are replacing our 0845 numbers during these changes. The London area has now been updated and the new contact details are shown on our contact page but these are duplicated here for your convenience.